Get guests to linger - and spend more - by creating the perfect dining atmosphere with e-conolight LED fixtures. Setting the mood for diners can be tricky as there are many areas of the restaurant that need to work together to strike the proper ambience. Our indoor LED fixtures can provide enough brightness in the kitchen for food prep, while delivering a softer, more comfortable glow for patrons in the dining room. 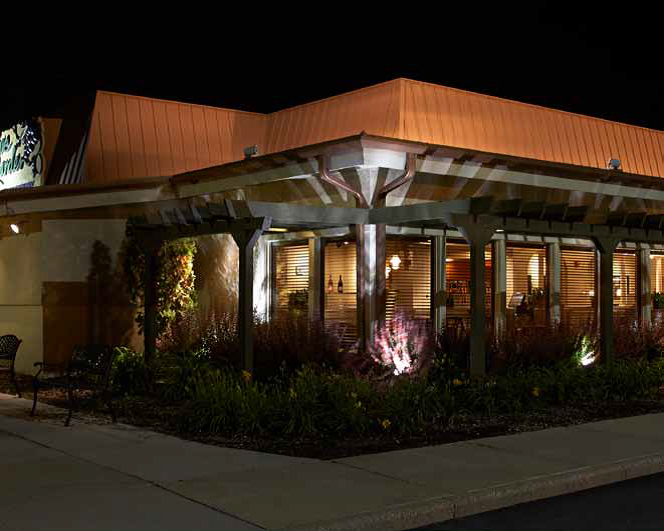 Create consistency for the interior and exterior of the restaurant by enhancing the look and feel of it with our outdoor LED fixtures. Our LED fixtures will provide you with the energy and cost savings needed to ensure the food is the most talked about aspect of the night.